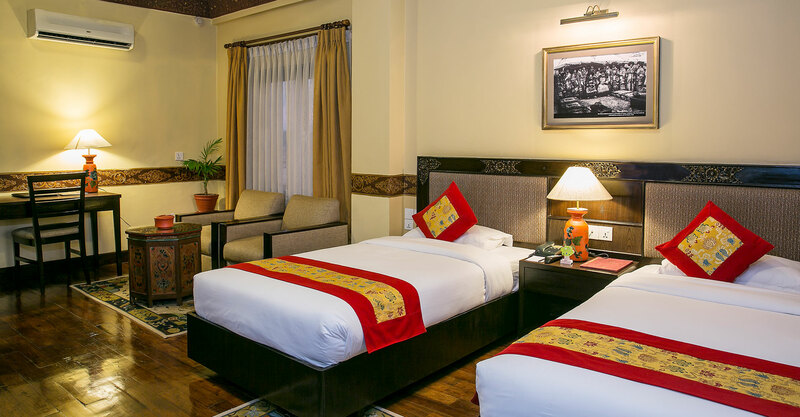 Hotel Tibet International has three types of rooms, all offering all the amenities you would expect from a 4.5 star hotel. 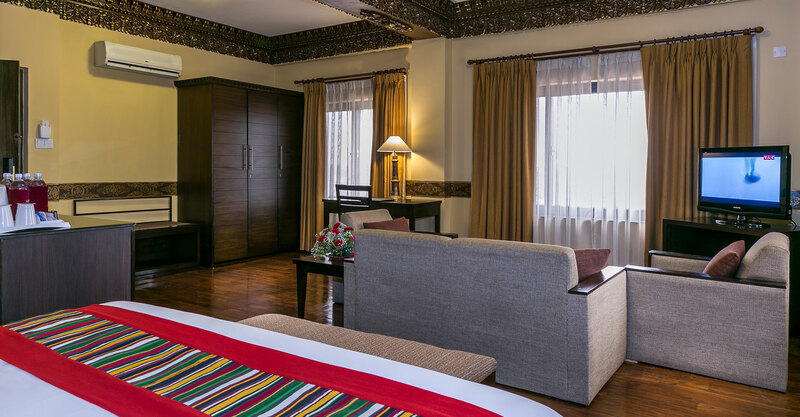 Stylishly fitted with Tibetan fabrics and antiques, our rooms offer all the comfort and luxury you could want. 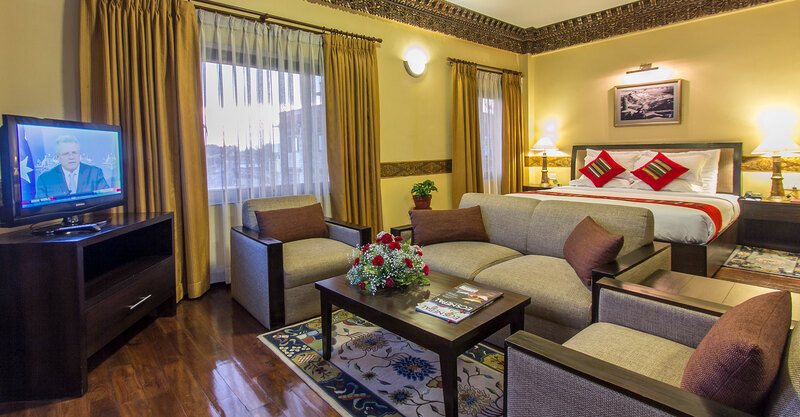 All rooms are air-conditioned and offer high-speed internet access and flat screen TVs. 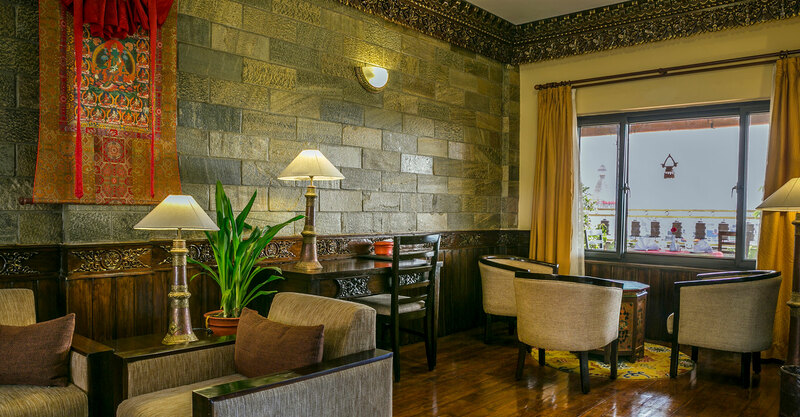 Tea/coffee making facilities and a minibar are available in most rooms. Additional amenities include in-room safe and ironing board. All rooms have en-suite bathrooms with hot showers and a bathtub. 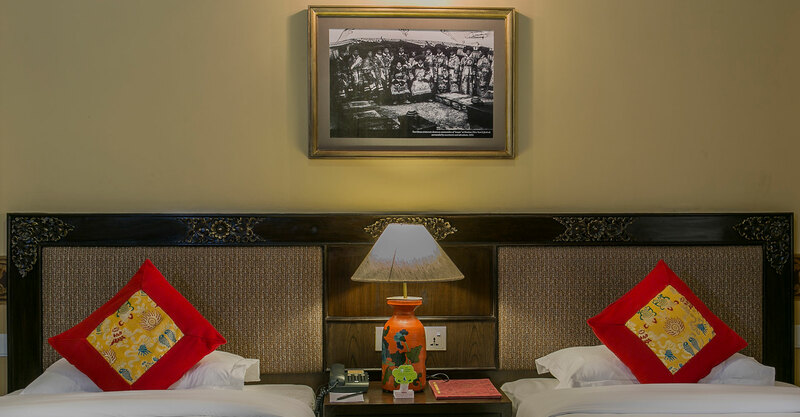 Our majestic Tibetan Boutique Rooms are lavishly decorated with genuine antiques alongside contemporary design. World class luxury and all amenities at your fingertips for the ultimate in comfort and convenience. You will not want for anything else during your stay! 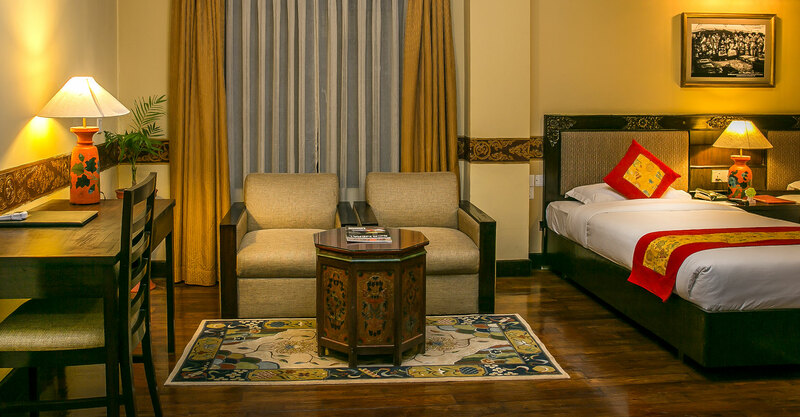 Decorated with genuine Tibetan artifacts, and rich fabrics and fittings, our sumptuous Tibetan Boutique Suites provide all the comfort and decor of our Boutique Rooms, while offering more space with a lounge area for you to relax, play or work. You will not want to leave! 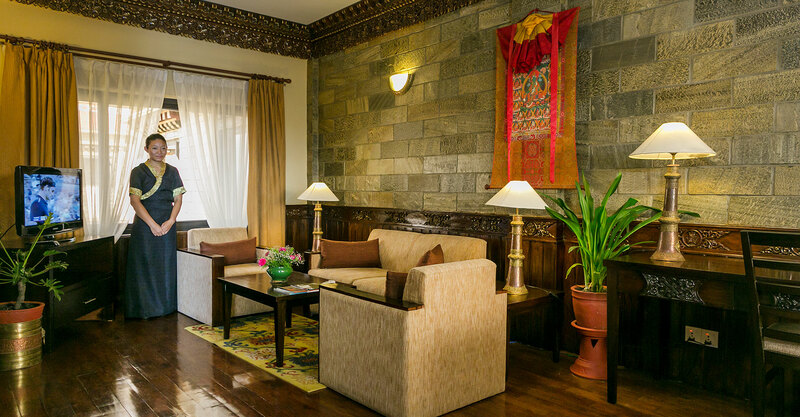 It is time to surrender to uncompromising indulgence and luxury with our exquisite Tibetan Executive Suites. 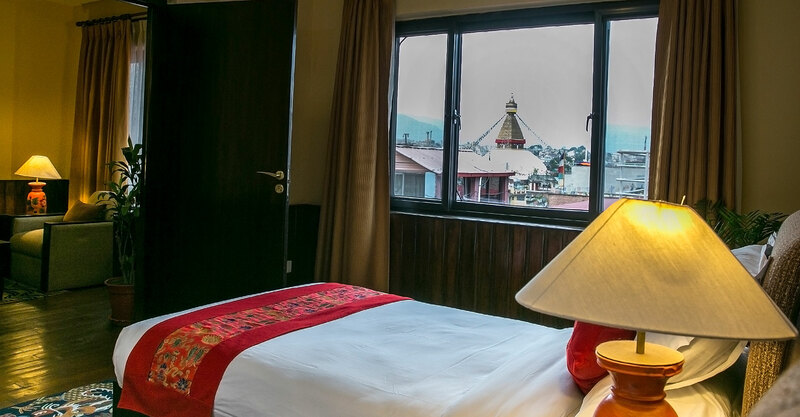 Pinch yourself as you settle in to lavish surroundings with a spacious living room and dining area as well as private patio overlooking the spectacular Boudhnath Stupa. 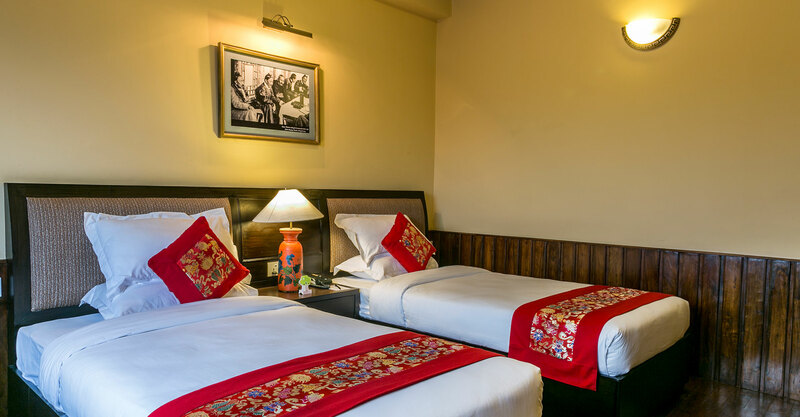 This is the utmost in legendary Tibetan hospitality – the choice of Kings, the celebrity hideaway or the place where you will create memories you will always treasure.